David Bryan was born on the 7th February 1962, in Perth Amboy, New Jersey USA, and is a musician and keyboardist, best known as a member of the rock band Bon Jovi, with which he also performed backing vocals and co-wrote songs. Bryan’s career started in 1978. Have you ever wondered how rich David Bryan is, as of early 2017? According to authoritative sources, it has been estimated that Bryan’s net worth is as high as $85 million, earned through his successful career in music. In addition to being a member of a popular rock band, Bryan has also released two solo albums and co-written Broadway musicals, which improved his wealth too. David Bryan grew up in Edison, New Jersey and went to the elementary school at Clara Barton, where he played such instruments as clarinet, viola, trumpet, and violin. Bryan later went to the Herbert Hoover Middle School and then to the J. P. Stevens High School, from where he graduated in 1980. He started playing keyboards in the band called Transition, alongside Steve Sileo and Mike Ziegel in 1978, and although he was accepted into Rutgers University, David dropped out and joined the Julliard in New York City. When Jon Bon Jovi received a recording contract, Bryan was the first one who joined him and they formed the band Bon Jovi in 1983. Their self-titled debut album was released the following year, and it achieved platinum status with over one million sales, reaching No. 43 on the US Billboard 200 and No. 71 on UK Albums Chart, while the singles “Runaway” and “She Don’t Know Me” entered the Billboard Hot 100 chart. The band recorded another platinum album titled “7800° Fahrenheit” in 1985, which peaked at No. 37 on US Billboard 200 and No. 28 on the UK Albums Chart. In 1986, Bon Jovi recorded their best-selling studio album to date called “Slippery When Wet”, which achieved 12x platinum status in the US alone; it topped the US Billboard 200 and reached the No. 6 on UK Albums Chart, while the songs “You Give Love a Bad Name”, “Livin’ on a Prayer”, and “Wanted Dead or Alive” were among the most popular. The commercial success of the album helped the band members and David Bryan to become millionaires, significantly increasing his net worth. By the end of the ‘80s, Bon Jovi had recorded “New Jersey” (1988), which achieved 7x platinum status, and topped both US Billboard 200 and UK Albums charts. In the ‘90s, the band released two more albums, “Keep the Faith” (1992) and “These Days” (1995), both of which achieved platinum status and topped the UK Albums Chart, while it also reached the top 10 on the US Billboard 200 chart. They recorded five albums in the 2000s, three of which achieved platinum status, “Bounce” (2002), “Have a Nice Day” (2005), and “Lost Highway” (2007). Most recently, Bon Jovi released “What About Now” (2013) and “This House Is Not for Sale” (2016), both of which topped the US Billboard 200 chart. 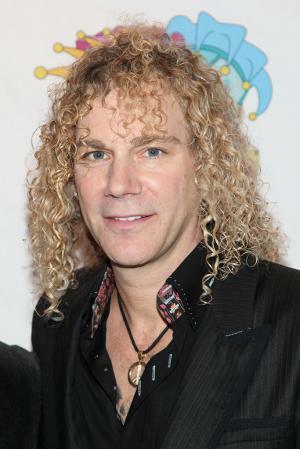 David Bryan has recorded two solo albums: “On a Full Moon” (1995) and “Lunar Eclipse” (2000), which improved his wealth even though they weren’t commercially as successful as Bon Jovi’s releases. He also co-wrote such Broadway musicals as “Memphis” (2002) and “The Toxic Avenger” (2009), adding to his net worth. Regarding his personal life, David Bryan was married to April McLean from 1990 to 2004 and has three children with her, while in August 2010, Bryan married Lexi Quaas in Colts Neck, New Jersey. Bryan is well-known for his charitable work, as he is active in VH-1’s Save the Music program, and is a board member of Damon Marks’ Traveling Guitar Foundation. 1 Won two Tony Awards in 2010 for his work on "Memphis". One was for Best Original Score for writing the music and lyrics (which he shared with Joe DiPietro. The second award was for Best Orchestration. 3 Born on the same day as country singer Garth Brooks. 4 Keyboard player in rock band Bon Jovi. The 65th Annual Tony Awards 2011 TV Special writer: "Steal Your Rock 'n' Roll"
The 64th Annual Tony Awards 2010 TV Special writer: "Steal Your Rock 'n' Roll"